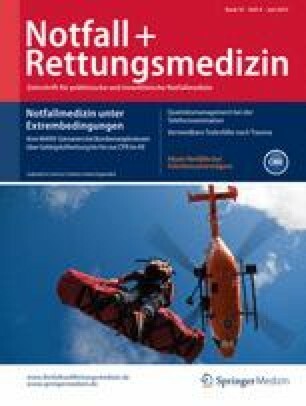 Emergency departments (ED) in Germany report increasing levels of crowding, which have a negative impact on ED processes. The purpose of this study is to evaluate perceived reasons for ED crowding as well as population-based influencing factors and to develop a database for further research and solution strategies. This is a mixed methods study conducted at two university EDs with sociodemographically different catchment areas (ED North, population with a lower socioeconomic status, ED South, population with a higher socioeconomic status), comprising a descriptive secondary data analysis of 34,333 ED patients and qualitative focus group interviews with medical staff of these EDs. Although patients were older and more often hospitalized in ED South, morbidity and in-hospital mortality of admitted patients was higher in ED North. Perceived reasons were similar in both institutions with mainly external and patient-related factors causing high patient volumes and a slow outflow of patients. There were marked differences in the key areas of discussion, which can be comprehended on the basis of the patient data. Staff in both EDs reported a perceived high level of “protective medicine” as causing ED crowding. Perceived reasons for ED crowding are mainly found outside the influence of the EDs and are affected by their patient population. Solution strategies have to reach beyond process-optimization strategies in the EDs themselves and should intervene at population and social/health care system levels. Unser großer Dank gilt den Teilnehmern der beiden Interviews, die trotz der beruflichen Belastung die Zeit für eine inhaltsreiche und engagierte Diskussion gefunden haben. J. Searle, R. Muller, A. Slagman, C. Schäfer, T. Lindner, R. Somasundaram, U. Frei, M. Möckel geben an, dass kein Interessenkonflikt besteht.